Communication is a way to tell others what you think, what you know or what you want. It is a way to exchange ideas and information. 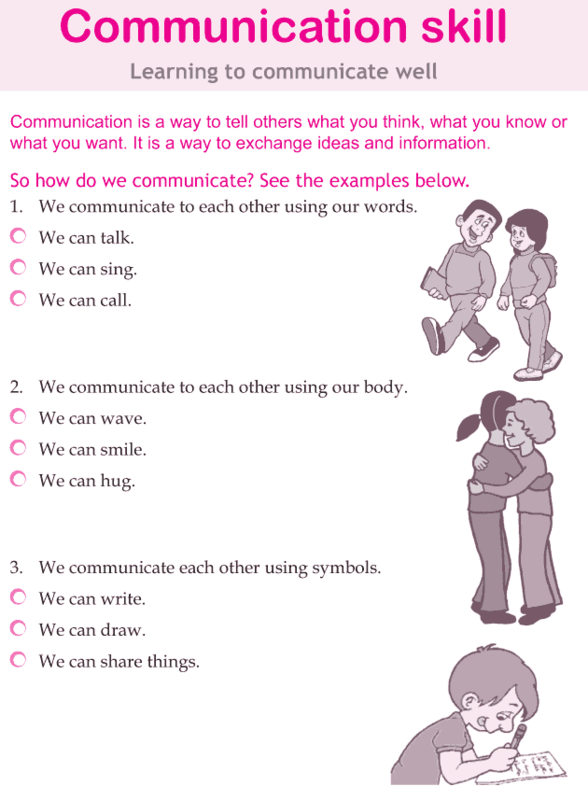 Let’s learn some effective ways of communication. © Copyright 2019 - Life Skills.